We reckon Pataua South is pretty hard to beat when it comes to a relaxing beachside break. Unpretentious and classic Kiwiana is what Pataua is all about. It's only a 100m walk to the beautiful Pataua estuary where you can gather cockles and pipis. There is safe swimming for young children, and a footbridge which is popular for swimmers to jump off and great for taking the kids fishing for sprats,small kahawai and the usual odds and sods. The main bedroom is very large and infact the whole bach is more spacious than the photos show. Our beds are comfy as is all the furniture provided - a perfect home away from home. 5 -10 mins away are takeaways,a bottlestore, four square,Hairdresser, petrol station and the historic Parua Bay Tavern. 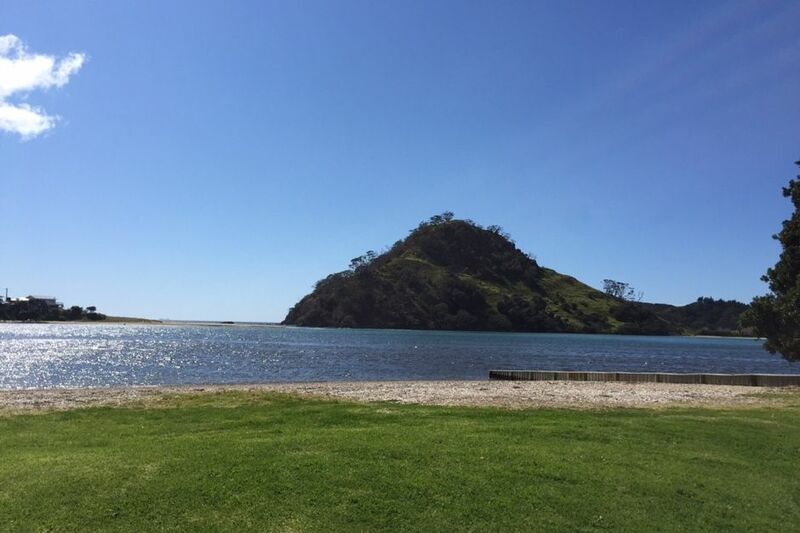 This is a great base for a fun holiday by the sea in one of NZ's best kept secrets. at $15 per person per night. Part of the kitchen opening onto the deck. Great for a get away. My children and I had a great time here. It's a great little pad to use as a base before you head off on adventures down the driveway to the estuary and the ocean beach beyond. Having great home-like facilities, makes having young ones and a teenager (in my case) much more manageable. Netflix, a great shower area, immaculate kitchen facilities and some old fashion board games thrown in too. Thumbs up from me! Kerry was very friendly and welcoming and made it a lovely place to stay. Lovely bach. Had everything you needed..😊 Lovely shower and spacious rooms. Close to everything that Pataua had to offer. Lovely part of the world. Modern bach, very clean and hosts very easy to deal with. The bach was well appointed - had a great layout and was safe and secure for our dog. We have a fantastic time. It was close to everything. Clean and tidy little place, lovely large king bed n shower. Pataua South is where I grew up so it was a treat to be back with the lagoon just down the road and to find this lil gem available to rent as Bach's here disappear fast. Note it is not beach front but just a short walk to all. The neighbours use the adjoining garage/pool table/canoe (no table tennis) so maybe a word with their kiddies not to do so at 7:30am on Christmas morning as the bedroom backs onto it with thin walls...but definitely handy for the rare wet weather we encountered this Christmas. The TV and selection of movies was a godsend in the brief wet weather also. Pataua South is remote enough for cell phone reception to be poor and as such WiFi was weak but that's called a real holiday retreat by our count. Lovely host responsive to our occasional questions. We thoroughly enjoyed our peaceful little Christmas and didn't want to leave...so much more to do and see. Those beaches and the swimming! Recommend a leap off the bridge into lagoon. Lovely clean and quiet guests. Very appreciative of everything. So glad you enjoyed your time, please come back again anytime. groovey little bach and the weather goddess was smiling.